Whether you're on a low carb diet or just thinking about jumping on the keto diet bandwagon, being able to keep track of your carb intake is essential. There are many carb counter apps and low carb diet apps, but few of them are truly free to use and even fewer allow you to use the carb counting feature without a subscription. These free carb counting apps do exist and we've listed the best ones below. Here are the best free carb counter apps of 2019 to help you maintain your diet. Senza's food journal feature organizes the food you eat and provides a breakdown of the number of calories, carbs, protein, and fat you've consumed. Of all the free carb counter apps on this list, Senza is the most keto-focused. This app is all about educating its users on how to properly live the keto lifestyle. In addition to keto diet tutorials, Senza offers recipes, a barcode scanner to make food tracking easier, and you can search local restaurants' menus for keto-friendly dishes. Teaches you the basics of the ketogenic diet with its 5 Days to Keto program, perfect for those new to the diet. Compared to the other carb counter apps on this list, Senza's barcode scanner is the most responsive, but the least accurate. Other scanners were more adept at identifying the correct brand of the food item scanned. Carb Manager clearly shows how many carbs you've consumed in a given day relative to any other macros you've consumed. Carb Manager is primarily a carb counter with easy to understand graphs and analyses. 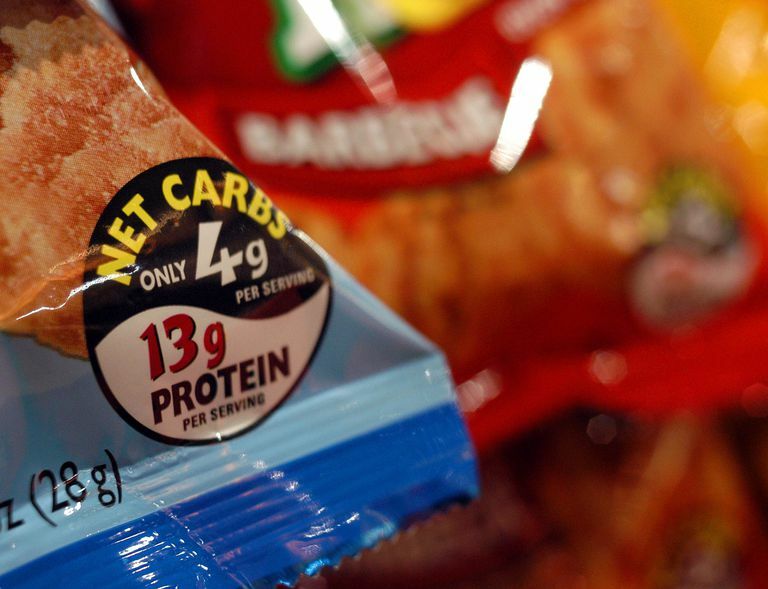 Extended health tracking requires a Premium subscription, but the carb counter works without it. Without the Premium subscription, you have access to features like water intake tracking, exercise tracking, and users can use photos and their own voice to log their food intake. Carb Manager is free to download and use. If you want to use its premium features you'll have to upgrade to Carb Manager Premium and pay $39.99 per year, but, again, you don't need the premium subscription to use the carb counting features. Does exactly what we want it to do: Counts carbs and provide easy to read graphs. Besides the carb counting and food journaling, many of the other health tracking functions are unavailable unless you upgraded to the premium service. The Calorie Counter- MyFitnessPal app provides a comprehensive analysis of the nutrients consumed on a given day. Calorie Counter - MyFitnessPal doesn't just count carbs. It's an all-around fitness app. It's primarily a weight loss app but places heavy emphasis on exercise as well as dieting. It also recommends exercise routines and provides users with many different options to log and track their progress. Calorie Counter - MyFitnessPal is free to use and download. Keeps track of fat, carbs, and protein, as well as cholesterol and sodium consumption. The app can be slow at times, and searching the app to add items to your food diary is often cumbersome. Macros is as straightforward as they come. When you select the Calorie Counter Mode in the Macros app, that's exactly what you get. A no-nonsense calorie and carb tracker. Macros allows you to calculate your BMI (Body Mass Index) and your basal metabolic rate. The entire app offers a number of statistics and graphs that can be utilized to plan your meals. Macros is free to use and download. You can upgrade to a Pro version after a one-time fee of $2.99 to access premium features like the removal of ads. Two modes to choose from: calorie counter and meal planner. Calorie counter mode concisely summarizes your caloric and carb consumption for a given day. Unintuitive interface; it took a while to determine how to log food items into the app's food diary. MyPlate Calorie Tracker has a clean design and clearly shows the amount of carbs consumed in a given day as well as other nutritional information. The MyPlate Calorie Tracker enables you to easily track your carbs and your dietary progress, but its real strength is how it facilitates community and social support among its users; it's as much an encouraging social media app as it is a carb tracker. MyPlate also offers meal-time reminders, exercise tracking, and water intake tracking. MyPlate Calorie Tracker is free to use and download. Its premium features require a Gold Membership, which costs $9.99 for one month, $29.99 for six months, and $44.99 for one year. It has a social feature called Support and Motivation where MyPlate users can post their fitness goals and receive feedback from fellow users. The barcode food scanner isn't very responsive and can take a while to scan food items.